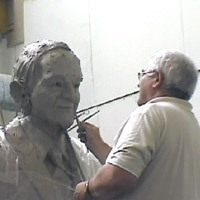 This page is the gateway to general information on any of the following, the pros and cons and cost of commissioning a sculpture, everything you wanted to know about making a mould of a sculpture and our terms of trade and your assurances of quality work. To navigate this section just click on any of the foregoing titles or use the navigation menu above right. 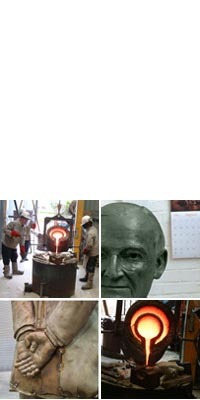 If you have any queries, please don't hesitate to get in touch, we always enjoy talking about sculpture. "…realism combined with that indefinable spark that brings the inanimate to life"
"…commissioning a sculpture is an easy and enjoyable experience at the end of which you own an object of beauty that will bring you pleasure and enjoyment for life"